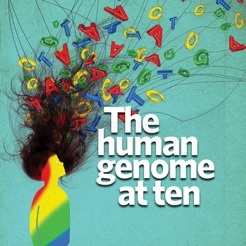 The draft human genome sequence, announced in 2000 promised great insights into human biology, medicine and evolution. 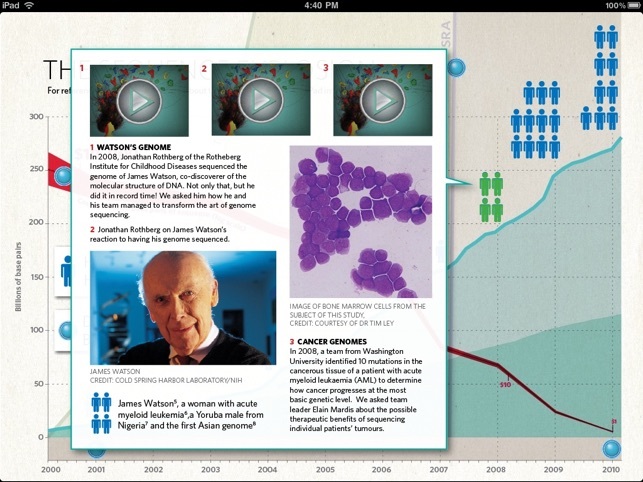 To celebrate the 10th anniversary, Nature has repackaged the Human Genome at Ten news special into a free iPad App. In this special, Nature asks whether the sequence has delivered the insights that were anticipated, and what lessons have been learned from the first post-genome decade. Human genetics in 2010 looks infinitely more complex, and questions about how to make sense of the explosion in biological data are only becoming more pressing. 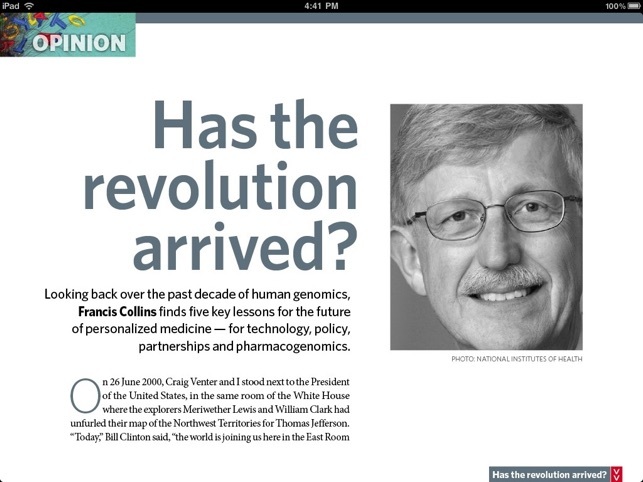 The Nature Human Genome iPad special edition contains landmark research as well as exclusive video commentary from Nature's genetics editor, who discusses the past, present and future of genomics. In addition, the App features an interactive graph displaying a timeline of human genome research over the past ten years and includes audio clips from authors discussing their papers. One star for this information being shared for free: thank you. One star for this app sharing information I am interested in reading about. Again, thanks. Minus one star for the 5-8 seconds required to wait for the pixilated fuzziness to sharpen in steps when switching between pages. If this was really "written for the iPad" then this should not be happening... It is annoying and messes with my eyes. Minus one star for the app not remembering where I was reading when closing it and coming back later. Minus a third star for my having to wade through the pixilated screens again to get to where I left off before. Honestly, this app reminds me of the days when computers were new and we had dial up modems. Right now, I am not inspired to pursue other apps by this publisher... Please improve and I will happily change my point of view. The app is extremely informative, giving a good overview of the achievements made in the area of Human Genome project, after its 10 years of advancement. 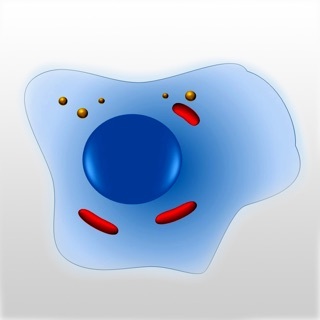 For a science enthusiast like me, this app is thoroughly stimulating. It leverages the amazing technologies of iPad to create a wonderful experience that is true of many great apps in the AppStore. And it is free, which is the other marvel! Thanks, Nature! This app came out well before retina displays were even an option, but some of its pages are mysteriously more pixel-heavy than others. I can't even read the table of contents; articles are oddly more readable. UPDATE: The pixelation eventually cleared up; this happened only after I closed and reopened the app, and after a few seconds' delay.